Fake influencers don’t grow organically, but they rather buy followers. Those are usually bots that are fakely increasing profile audience. Many companies sell fake followers. They are creating tons of fake accounts and enabling bots to follow those accounts. For example, you can buy a package of 10k followers from them and pay only $100. This way influencer scammers try to make quick money. 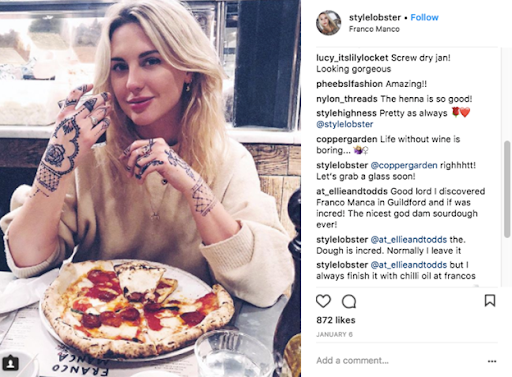 Many brands, who want to cooperate with a real influencer, might fall into a trap and lose money as they are not aware whether they came across a scammer or not. Bots, fake followers, and false engagement can cost brands and marketers millions of dollars. Fake influencers can demolish all the benefits of influencer marketing. You’re unlikely to see a rise in your actual sales, which is the bottom-line metric for measuring your ROI. Which is precisely why you have to look for the real influencers. As a brand, you don’t want to associate yourself with fake influencers, nor do you want to waste your money on them. You need to know how to properly look for real influencers and how to identify fake ones from the herd. So, here’s how you can spot them. The sudden and massive spike in followers, if randomly occurred, can mean only one thing — you should be on alert and stay suspicious about it. There are only two reasons for a sudden spike in Instagram followers. Either they were named a suggested user, or they bought followers. There are some exceptions, though, but they don’t occur that often, so those anomalies don’t count. — Why sudden follower growth matters? Because authentic influencer typically grows at a consistent pace through time. There are many free tools to monitor such growth, like Social Blade. There you can look up any business profile on Instagram or any other social platform to check out influencers follower growth. Instagram is cracking down on it hard. If you scroll through influencers’ followers and only see the profiles with weird, nonsensical names with no profile picture or posts, it must be a bad sign. If you scroll more and notice many profiles that type, it only means a red flag. Those shady followers smell on fake bot profiles, and that your influencer is a scammer. Today, having followers means prestige, respect and popularity in front of other people. So search for influencers who have real audience with organic accounts. When looking at influencers’ profile, check out the number of accounts he follows. If you see the number of followers is far exceeding the number of followings, be cautious. This is probably the most common way to spot a fake Instagram account. That influencer probably gathered followers by posting “follow for follow” and “like for like” posts. They start to follow a bunch of people and then expect them to follow back. Many times, the accounts will follow the maximum number of accounts you can follow, which is 7.500 people. However, most of the influencers probably follow up to 5% of their audience. Real influencers build their following base steadily through several years by consistently posting high-quality content, photos or videos. It takes a lot of practice to achieve that goal. It takes effort by daily posting content that will bring the audience. If you came across the influencer with few posts and a large following, it might be fake. Nobody can get 10k or more followers just by having 7 posts unless you are a superstar. The low number of posts can be a tell itself so you can probably draw the conclusion that the account is fake. Some companies sell bots developed feature that offers creating comments on posts in order to make them appear original and authentic. How to find out who is fake and who is real? Easy. First off, these comments are mostly generic and irrelevant. For example, comments like “good picture”, “great”, “nice”, “love it <3” or just some random emoji might be signs of a bot comment. Even though it’s engagement, it certainly has no value for your brand. The community is the main factor when evaluating an influencer profile. Real conversation between influencers and their community is the key you are looking for. Their audience engages in their posts with genuine and not blunt one-word comments. Most of the comments are relevant to the picture and, as you can see, those who comment on her profile sound like real people. However, don’t just throw the opportunity to cooperate with the influencer if you come across a few bot comments. Look at the overall picture instead. Influencers often post once a day, some of them even more than once. Consistency can be one of the easiest factors to spot a fake influencer. If you notice that they have a lot of action in one day, and then no action at all, it’s an indication that they are fake Instagram accounts. For example, they post 10 pictures, like a few pics and then nothing came from them through the whole week or month. This might be because they created or bought a bot, that follows a certain number of people and then stops. After that, those scammers post 5-10 posts at once just to look genuine. According to FTC’s guidelines on how to promote products, you should look at influencers #sponsored or #ad tagged posts. Check out with whom they have collaborated in the past. Are those products relevant to their personal brand and niche they are into. If you see that they sell anything they come across, it’s better to avoid that influencer. A good influencer tends to help their audience by promoting only the products they like. When sharing relevant advices, they create a community with common interests. They are selective in collaborations and don’t accept every offer they get. Engagement rate is the way to understand how reactive influencer’s audience is. However, it varies one from another. It depends on a size of influencer, whether he is A-list celebrity influencer or a micro-influencer with over 20k followers. If the engagement rate is higher or lower in relation to total followers, it may indicate that influencer used fake engagement via likes and comments. Generally speaking, if the engagement rate is 30% and the influencer has 100k followers, it means that they get around 30k likes and comments for every post. This is a little absurd number for 100k followers, thought. It is more realistic that on 5k likes and comments, around 5% of the audience engages with an influencer. Either if using tools or doing it by yourself, when you notice high rate of engagement, better reconsider collaborating with that influencer. Many marketers are undecided if they should go into this field, because they are afraid of investing heavily, getting scammed and having no return of the investment. 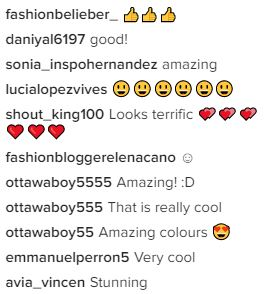 However, when knowing what you should be looking for, identifying bots on Instagram isn’t that tricky. There is the whole array of the things to look at to spot fake Instagram followers. You can’t make a conclusion after having only one factor that fits with the description of the fake account, but when you have a number of factors that match the characters of the fake account, you can start drawing conclusions. Read about how to understand your customers, their journey and optimize your funnel.